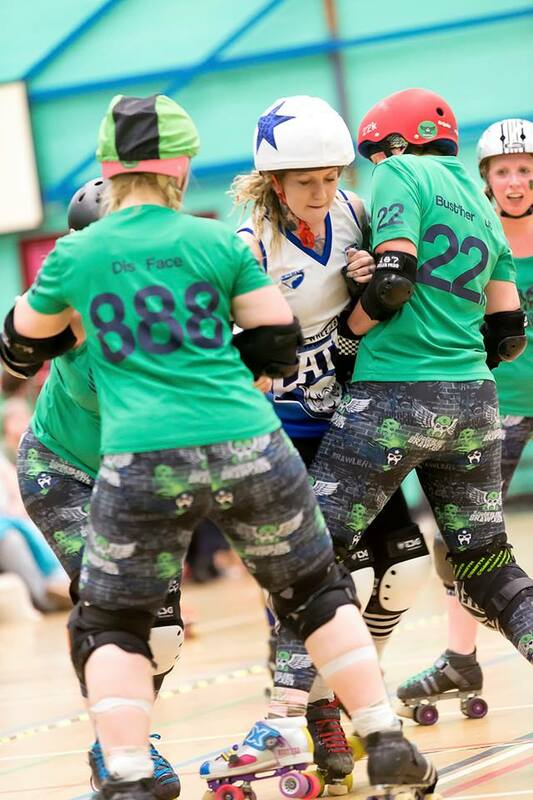 Wakey Wheeled Cats put up an embattled fight in their final game of the roller derby British championships, taking their highest score of the year. But it was not enough to secure a victory, and the Cats head into their final game of the year without taking a win this season. Wakey travelled to Peterborough to take on Borderland Brawlers, who in their last Championship game took an impressive win over Mansfield. Heading into the game as the underdogs, and still without a win this season, the Cats came out fighting, taking a small early lead with jammers Katie Clayton, Katie Swift and Vicki Gray taking early points. But it was a Borderlands penalty that gave Clayton the opportunity to make unmatched points in a powerjam that saw the Cats gain real ground in the first ten minutes, with WWC at 44 points to BB’s 19. Strong blocking from Gray, Diana Bracewell, Louise Edwards and offensive play from Zoe Melia helped keep Borderlands under control, but successive penalties on Wakey’s part meant they were soon able to fight back, and with seven minutes left in the first half they overtook with 88 points to Wakey’s 82. Despite an impressive 17-point jam by Wakey’s Danielle Millea, Borderland were able to build on their lead in the dying moments of the first period, with the score at 122 to 102 at half time. The Cats had a disappointing start to the second half, with a penalty for jammer Clayton, but a star pass to Gray meant they were soon back scoring. Successful jams by Nikki Holt and again by Gray, matched by strong defensive work by captain Lindsay Pantry and blockers Lou Plews and Kirsty Quinn had the score at 165 to 143, with Wakey on the back foot with 15 minutes to go. 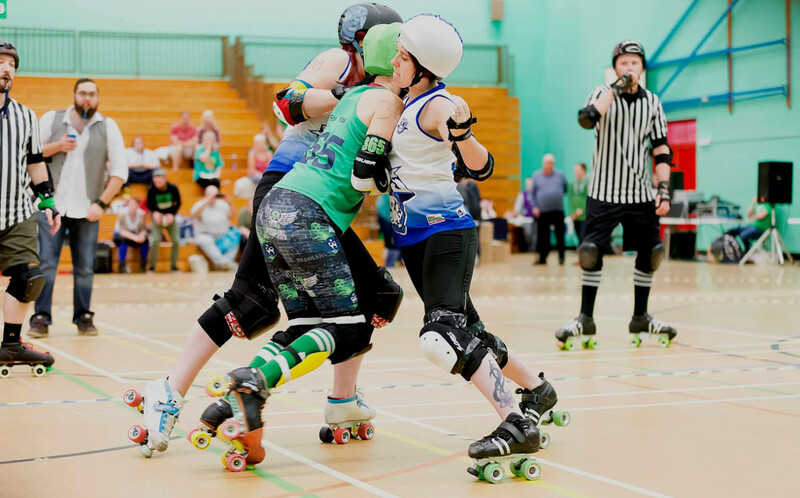 But a powerjam in Borderland’s favour enabled them to gain further ground, and despite big hits from Cats blocker Anne Body, they were able to take a 50 point lead with eight minutes left to play. Wakey continued to fight however, and were able to put another 20 points on the board in the last few minutes, and the game ended at 259 for Borderland to 183 to Wakey – the most points they have scored in any of the Champs games this year. The season has proved to be a learning experience for the Cats, who go into their final game of the year stronger and with more cohesive play. 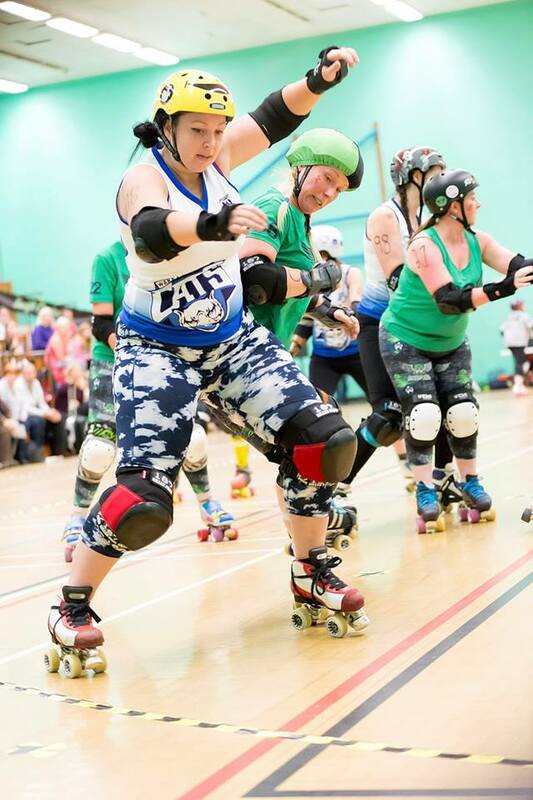 That game, against Liverpool Roller Birds ‘B’ team, takes place in Halifax on Sunday October 25, when the Cats will be looking to make up for a heavy loss to the side last summer. This is the last match report by Lindsay Pantry, and the team wish her all the best in her future endeavours!